The Business Council for Sustainable Energy is hosting a series of meetings with energy thought leaders on resilience and reliability, to help the coalition understand the diversity of definitions, approaches and opportunities around these two concepts that are critical to the power sector and policy-makers alike. The BCSE Clean Energy Blog will share our coalition’s reflections on some of the ideas that emerge from these discussions, and the first of these conversations was held with Sue Gander, Director and Dan Lauf, Energy Program Director at the National Governors Association (NGA)'s Center for Best Practices Environment, Energy and Transportation Division. 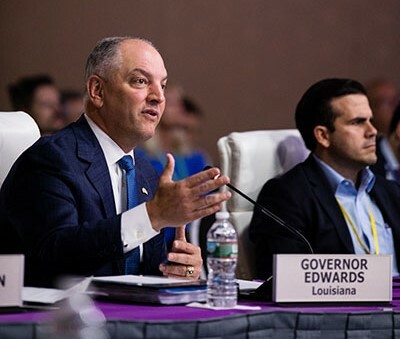 Louisiana Governor John Bel Edwards opens NGA's 2017 Summer Meeting plenary session, Preparing for the Extreme: Building Resilient Communities, with remarks on how governors can collectively advocate for increased support to states for their flood response and preparation plans. 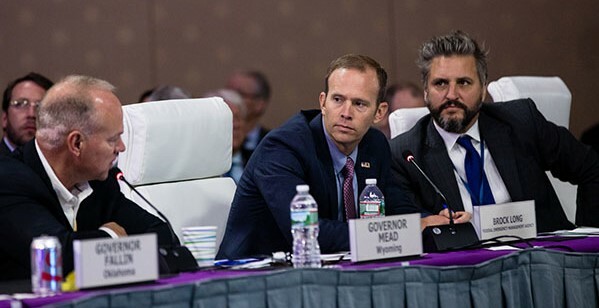 Wyoming Governor Matt Mead speaks to the session’s guests, Federal Emergency Management Agency Administrator Brock Long and 100 Resilient Cities President Michael Berkowitz, during the 2017 NGA Summer Meeting in Providence, Rhode Island. and excel under new conditions. The take-away advice for clean energy companies that can improve a state government’s response time to a natural disaster or electricity black-out? Approach a Governor’s office with both concrete policy actions and ideas around technology solutions that can enhance resilience, for the best impact. Governors increasingly care about resilience. Why? There are a broad array of risks and threats that each state’s Governor’s office plan for – that include but are not limited to a range of natural disasters such as flooding, hurricanes, earthquakes, mudslides, tsunamis and wildfires, and risks specific to the power sector – electricity outages, broad blackouts and cybersecurity threats to the grid. For a state to provide “energy assurance” to its residents, an important planning step is broad intra-government coordination among various state agencies and external coordination with utilities and other private sector players. A goal of this planning is to create a reliable energy system that can “keep the lights on” in an emergency. Each state has different vulnerabilities and capacity needs, and NGA is beta-testing a State Resilience Assessment & Planning Tool (SRAP) to help states conduct a self-assessment, and it includes an energy and infrastructure focus. 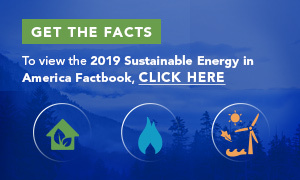 State planning includes personnel preparedness, facility hardening, mitigation options and the role of advanced metering infrastructure (AMIs) and distributed energy resources (DERs) such as storage, solar and microgrids. Improving the resilience of emergency operation centers is an important step – and clean energy technologies such as combined heat and power (CHP) or solar can play a role to help “harden” these centers. Some states, such as Colorado and Oregon, have a “Resilience Officer” that sits in the Governor’s office. A resilient state strategy includes looking at how states get “smarter.” This includes the integration of information communication technologies (ICT) and the internet of things (IoT) to planning and how this can improve the quality of life, mobility, safety, resiliency, economic viability and sustainability of residents and businesses. The emphasis is on outcomes. This post is the first in a series on resilience and reliability.